The Caleb Jakobsson sentence has been handed down. The man who crashed into mum-of-two Andrea Lehane and left her to die has been sentenced. 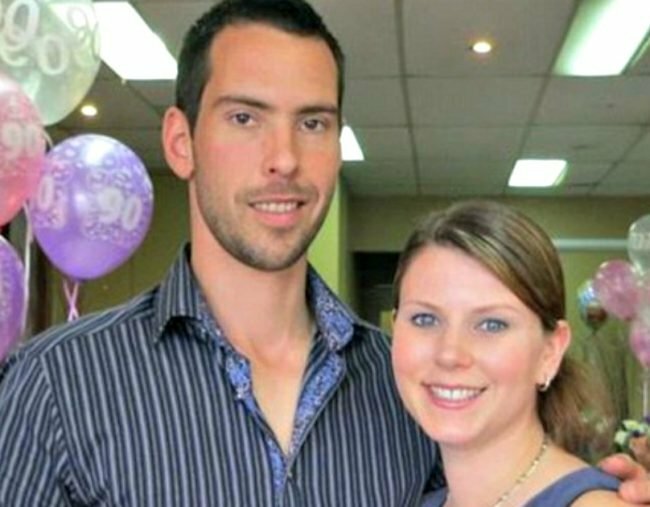 Mother-of-two Andrea Lehane was walking across the pedestrian crossing at a Melbourne shopping centre car park when one of four hoons, “flogging it” on mini-bikes, recklessly crashed into her, flinging her body six metres and inflicting severe head injuries. He and his mates then fled without stopping, leaving the woman unaided on the pavement “choking on her own blood”. Two days later, the family of the 34-year-old nurse made the heart-rending decision to switch off her life support when doctors said there was no hope of the mother surviving. On Tuesday, Caleb Jakobsson, now 20, was sentenced to at least four years’ jail after pleading guilty to culpable driving causing death and failing to stop after the crash at the Carrum Downs shopping centre in September, 2015. Jakobsson was doing more than double the speed limit on his home-made 125CC monkey bike – some witnesses estimating the dirt bike convoy was travelling up to 50km/h – with one saying they were “flogging it”. Forensics teams found Jakobsson was travelling at least 24.7km/h on the car park service road, which had a speed limit of 10km/h. “As a result of your negligent actions, a young woman, who should’ve had the rest of her life to look forward to, met a traumatic death,” Victorian County Court judge Jane Campton said as she imposed a full prison term of seven years. “Her husband and young children were deprived of a wife and mother. The young man, whose bike had no front brakes or lights, knew he had hit someone and should have stopped after the crash. “While I accept that you panicked, your actions were morally reprehensible and I denounce your conduct,” Judge Campton said. The victim’s husband James Lehane attended Tuesday’s sentencing and has previously shared his devastation through a statement tendered to court. “My beautiful wife was snatched away forever for the sake of cheap and reckless thrills,” Mr Lehane said in his victim impact statement. In another victim impact statement, Adele Paraggio said she was appalled Jakobsson had run away while her sister was left “choking on her own blood”. “Such an inhumane act was done to my little sister,” Ms Paraggio said. At the time of the incident, Jakobsson was disqualified from holding a driver’s licence and was not allowed to ride the bike. While on bail for charges linked to Ms Lehane’s death, the young man breached a curfew and was charged with drug-related offences. Jakobsson will be eligible for parole after four years and is banned from obtaining a licence for four years after his release.